On Friday, March 23, 2018, from 6 a.m. to 3 p.m., Country 106.5 will broadcast real stories of hope, healing and innovation, live from St. Joseph General Hospital’s foyer to raise funds for the hospital. 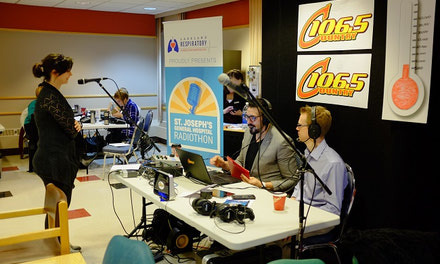 Funds raised through the St. Joseph’s General Hospital Radiothon, proudly presented by Lakeland Respiratory Consulting Services Ltd.; will be in support of BREATHE: Building Resilience in Elders through a Therapeutic Hospital Environment; a project aimed at improving the quality of care for seniors and those with dementia. St. Joseph's General Hospital is committed to being at the forefront of rural medicine and seniors care. Please join us! IF USING DONATE TODAY at left or DONATE ONLINE in Main Menu: Select: 0-BREATHE Program (Vegreville Radiothon) to designate your donation to the 2018 Radiothon. or email him at mickey.melnyk@covenanthealth.ca for more details. Vegreville Drug Mart | Foot and Ankle Wellness Centre Ltd.
Nick's No Frills | Snap Fitness | Vegreville Glass & Mirror (1989) Co. Ltd.
Covenant Health’s St. Joseph’s General Hospital is a cornerstone of the Vegreville community. 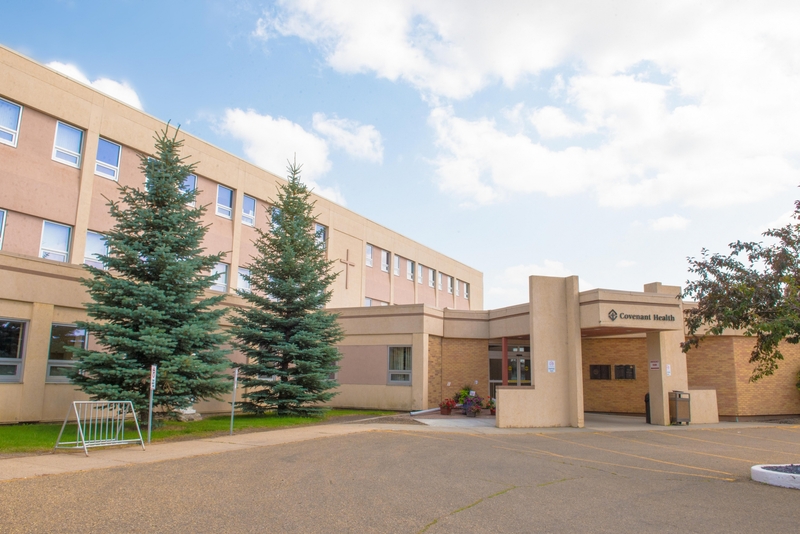 It has a proud history dating back to 1910, when the founding Sisters of Charity of Notre Dame d’Evron established the hospital to care for patients in Vegreville and the surrounding areas. Today, St. Joseph’s General Hospital cares for tens of thousands of patients each year. The hospital provides 24-hour emergency services, ambulatory care, acute care, palliative care, and a variety of outpatient services, including a cardiac clinic, a hemodialysis program, laboratory services, gynecological services, and physical and occupational therapy services. The hospital also has a speciality in geriatric services and senior’s care. 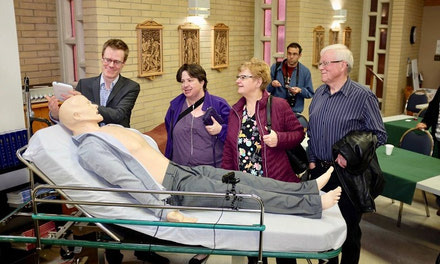 The community of Vegreville relies on St. Joseph’s General Hospital to provide the highest standard of care to its residents, when they need it most.